Hard working hands need care and protection to keep them looking and feeling fresh and beautiful. Maintaining their beauty some times get missed but it's never too late to spoil your them. 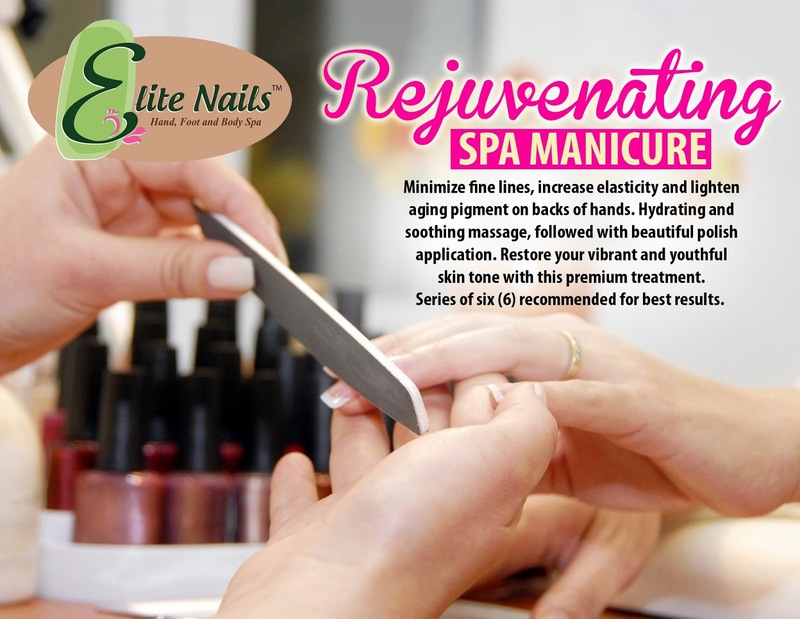 You can also defend your hands against daily wear and tear with Elite Nails Spa's luxurious hand spa manicure. Our signature Hand Spa Manicure session starts with a warm hand bath, the nail tech carefully place your hands soaked in a wooden basin for a few minutes and towel-dry to prepare for the next step. Of all the steps in our hand spa treatments, the scrubbing part is the most-loved. Here, the hands receive an ultimate exfoliation treat followed with a mask application that helps firm the skin. A hot towel wrap seals in the moisture of your hands for a lasting smoothness and instantly gives you a relaxing feeling. 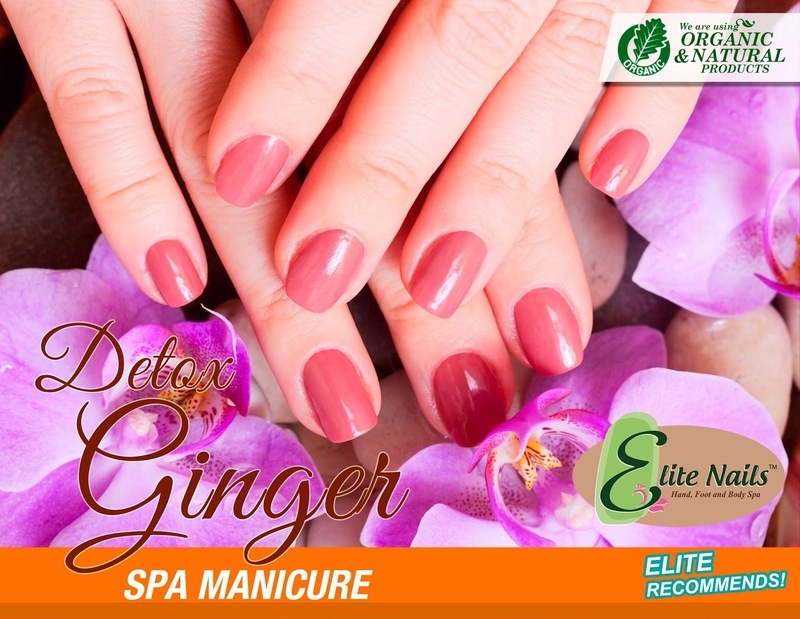 This hand pampering treatment gets even more exciting as the nail tech start giving your nails the loving attention. 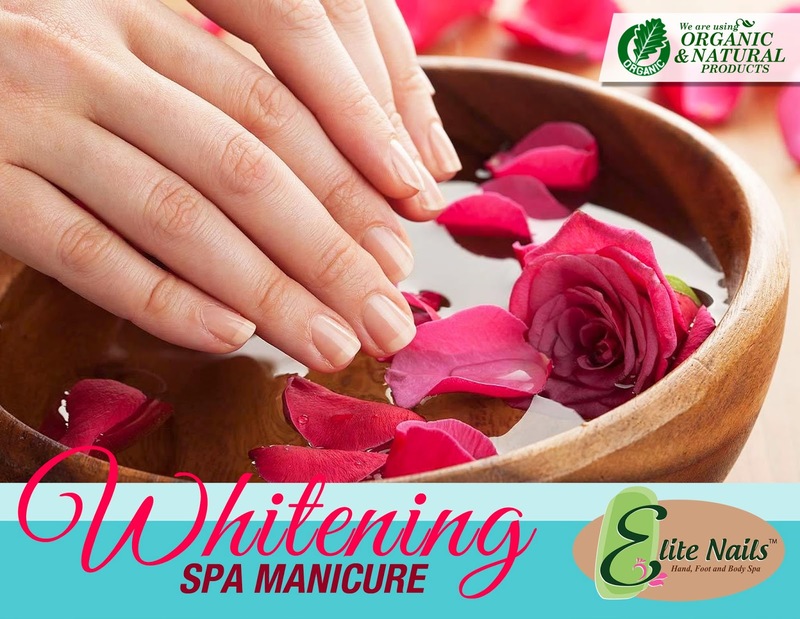 Our well-trained nail technician completes the manicure routine making sure that cuticles are removed and nails filed to perfection. Next is the hand butter application providing your hands protection and deep-hydration benefits. 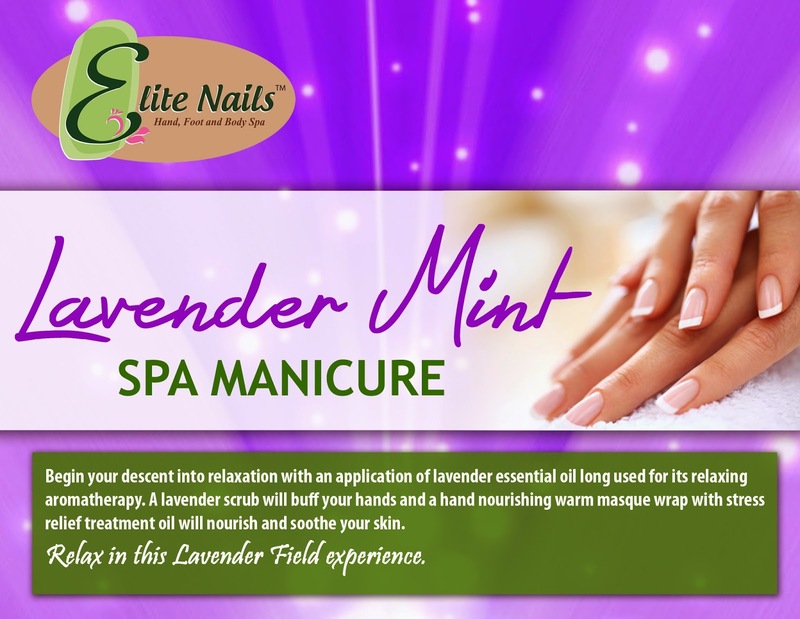 A soothing massage will also ease tension accumulated in your hands for a hard day of work. Finally, give your hands a rewarding finish with a moisturizing mist that protects and penetrates rough, dry skin to replenish moisture. The mist is also lightly scented to your liking. 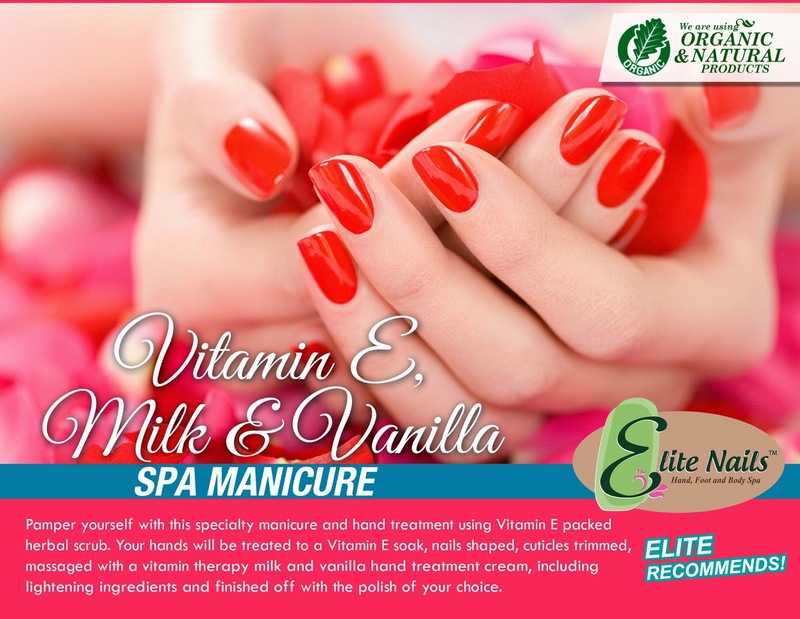 The luxurious treatment is capped off with a polish which Elite Nails Spa has a range of lovely nail color choices.